“For us, it’s a homecoming. We will once again be able to walk the lands in the heart of our community,” said Suquamish Tribe Cultural Coordinator Tina Jackson. On May 31, 2018 the 50-year lease of the area known as Suquamish Shores expires, returning control of the property to the Suquamish Tribe. Tribal government officials have been anticipating the return for more than two decades, working closely with the Tribal community to create a comprehensive long-term plan for the area. “Our community has been clear in their desire to create a multi-use space, along with additional housing and facilities for our elders,” said Suquamish Tribal Council Vice-Chairman Bardow Lewis. As part of the plan, the property will be redeveloped in three phases over the next ten years. Work on phase one, which includes community spaces, is scheduled to begin in late summer 2018. Plans call for a park near the Suquamish waterfront, along with walking trails and a culturally-themed playground connecting the Suquamish Museum to the Veteran’s Monument near the House of Awakened Culture. 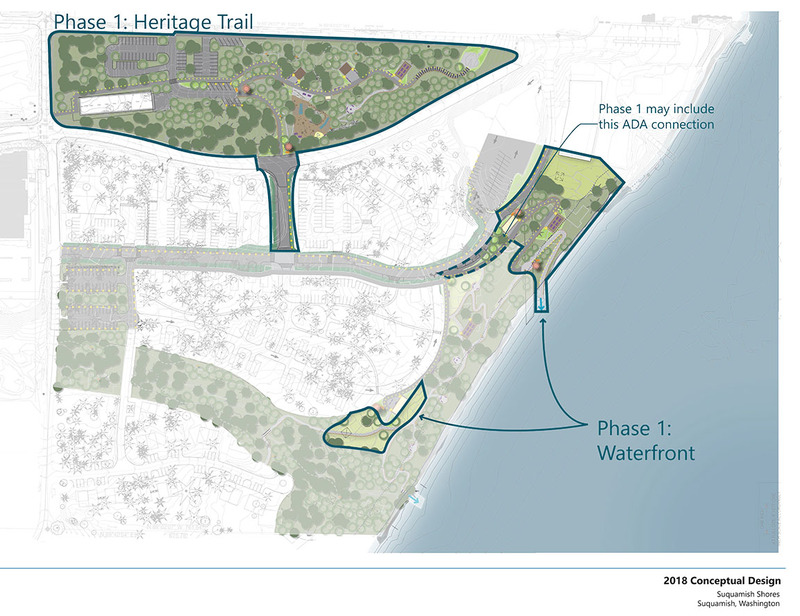 A preliminary concept rendering of Phase 1 includes a heritage trail and cultural use areas. “We have a lot of site preparation to do. There are a number of homes in disrepair that have to be removed before rebuilding can take place,” said Suquamish Tribe Department of Community Development Director Scott Crowell. Construction of the first phase is expected to continue through 2019, with a scheduled completion date in 2020. Designs for phases two and three are still being finalized and will include staged elders facilities and housing. “It makes sense that the Suquamish People would want to ensure the property is redeveloped for recreation, housing and cultural use. Traditionally, a large portion of that property was used as a community gathering space. A ballfield was built there in the late 1800’s and was utilized by the community for several decades before the property was leased,” said Suquamish Tribe Historic Preservation Officer Dennis Lewarch. 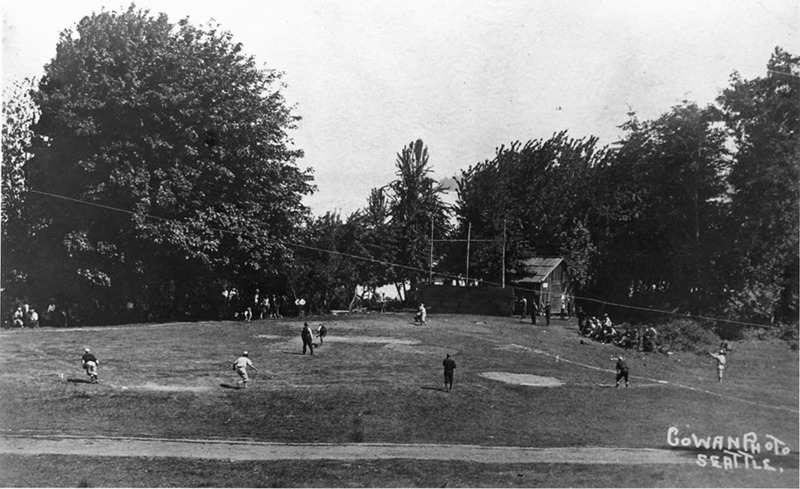 Early 1900s’ photograph of a baseball game at the original Suquamish Ballfield. Courtesy of the Suquamish Museum. The subject of the lease has been a contentious issue in the Suquamish Tribal community over the last five decades. Many members voiced their opposition to the move in Tribal Council meetings when the lease was being considered in 1967. However, faced with limited resources and the need to provide basic government services, the Suquamish Tribal Council determined the lease was the best course of action for the future of the Tribe. “Back then, we didn’t have any money at all. Tribal Council Meetings were held in people’s living rooms. Paperwork, applications, travel to BIA offices in Everett and Portland just to maintain our treaty rights; it was all done by volunteers, on our own time with our own money,” said Tribal Elder Rich Demain, who served on Tribal Council in 1961. The agreement for the 50-year lease began in July 1968, with Chief Seattle Properties, a non-tribal corporation, paying the Tribe $7,250 annually for the land. The firm then profited from sub-leasing parcels to individuals looking to build on the waterfront property. Chief Seattle Properties later walked away from the project, leaving those who built homes and the Tribe to sort out the details of their individual leases- a process that would take several years and test the relationships between Tribal Members and their neighbors living on the Port Madison Indian Reservation. “It’s certainly been a long road. I have looked forward to this day for 50 years, and will celebrate when we will be in control of our own resources again,” said Tribal Elder Ed Carriere.